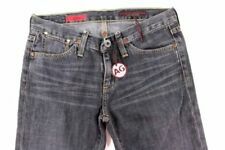 AG Adriano Goldschmied jeans. The Olivia Skinny Boot Cut. Make: AG Adriano Goldschmied. The super skinny velvet jeans from AG Adriano Goldschmied. Q: Are Your Prices Negotiable?. Five pocket style. Then, place a new order for the item of your choice. Adriano Goldschmied The Farrah Skinny High Rise Jeans. Blue, 58% Viscose / 21% Cotton / 20% Polyester / 1% Elastane. Leg Opening: 9.5". Rise: 8.5". Color: Dark Blue. Fabric: 95% Cotton 5% Lycra. Style: Bootcut. Condition Excellent Pre-owned Condition. 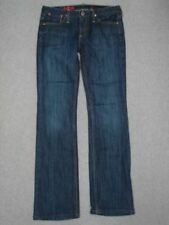 Adriano Goldschmied AG Protege Straight Leg Women’s Jeans Size 32 L31. Tagged 32/34. Stains on the front of legs, shown. Some wear on the cuffs. Condition is Pre-owned. Shipped with USPS Priority Mail. Front Rise:10". -Cuff Opening:13". If an item was sold ?. Excellent pre-owned condition! Cuff is not frayed. Leg opening: 16”. Inseam: 31”. The prima: mid rise cigarette. cotton / tencel / pu blend. This pair is new without tags. Kept in my closet. It is a faded kind of wash. Its actually faded red. 38.5inches in length, 7.5 rise, size 27. It is a stretchy kind of material. It fits very comfortbly ! Kind of like the ones of a jegging. Material is also soft. Back Rise: 14 in. Front Rise: 8.5 in. We work really hard to give you the best quality for your buck! If there is anything specific about this item it will be listed above! We will get back to you as soon as we can! Irregular/Defect: one leg is 1" longer than the other. Waist: 16". AG size chart place these at a size 6. This is a brand new pair of The Nikki Relaxed Skinny jeans, size 22. They are a medium wash and in excellent condition! Waist lying flat = 13 in Rise = 8 in Inseam = 31 in 98% Cotton, 2% Polyurethane Size may say 22 but waist inch size suggests up to a 24 could wear. Smoke free, clean home. Please feel free to ask questions. AG Adriano Goldschmied Stevie Jeans - Skinny Straight Denim. Signature AG logo stitching on the rear pockets. Low rise with a zip fly. Jeans are in good preowned condition. Adriano Goldschmied The Prima Mid Rise Cigarette jeans in white. Made of 98% cotton, 2% polyurethane. C O N D I T I O N: Gently used and clean. No issues to note. 15.5" across at waist. 6" leg opening. Slim - Straight Style. 98% Cotton, 2% PU. Preowned: Good Factory Distressed Condition. Made to look dirty and beat up. Size 31 waist (32x31). Rise 7.5 in. Designer Fashions at Great Prices. Condition: Excellent. Rise: Mid Rise (8-9"). Inseam: 31.5" - 33". Outerwear & Blazers. In other words, it's a total fashion steal! Apparel Size Chart. GoodItem has minor flaws, but no signs of significant use. 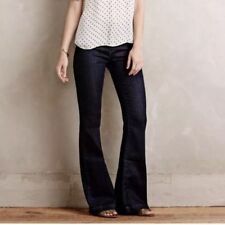 AG- Adriano Goldschmied- Premiere 30R skinny straight women's Medium rinse jeans. Condition is Pre-owned. Shipped with USPS Priority Mail. Straight Sz 26R Dark DenimJeans. Style: Aubrey. Material: 70% cotton 28% lyocell 2% polyurethane. Inseam: 32.5”. Women's AG ADRIANO GOLDSCHMIED Angel Bootcut jeans light wash SIZE 29R ~MINT!! These are a lighter weight super soft denim. Factory whiskering. Inseam 31". Full Length - 37". Inseam - 30". Adriano Goldschmied Jeans. AG Stevie Slim Straight Corduroy Taupe Pants. This is a pair of cigarette jeans by Ag Adriano Goldschmied. These are in the Prima style with a skinny slim leg. These are a dark wash with factory fading. Wash - machine wash. Waist - 29 in. Material - rayon, cotton, polyester, spandex. AG Adriano Goldschmied Women's Jeans The Angel Boot Cut Size 25 Inseam 31"
2XSXSSML00024812162224 in.25 in.26 in.27 in.28 in.29 in.30 in.31 in.32 in. 26P27 in.28 in.30 in.31 in.